“As a seventeen or eighteen-year-old I used to hang around the sales with Mick and Cheryl waiting for the horses to be sold, and I used to bug them no end. They were extremely gracious in their hospitality and looking after me. They really encouraged my interest in the industry. I’d gone to school with a chap called Gary Gorton, whose family raced one of the best horses in the Eastern Cape, a wonderful mare called Blue Nile, and I got smuggled out of Woodridge College to go and watch her race one day. 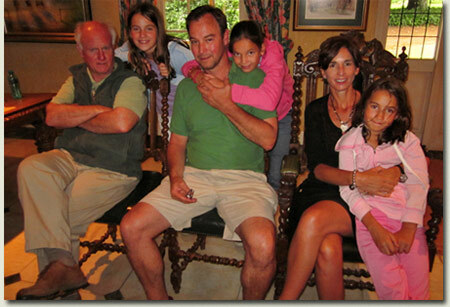 She was trained by the late Stanley Greeff, and that was really one of the turning points in my interest in racing. My mother was dating a chap in Johannesburg and he had a very good friend who was an Advocate at chambers in Joburg. One day, they took me along to be their “runner” to set their bets for them and I ended up hearing a race-caller for the first time on course at Newmarket and that was when the bug really bit. I then latched onto Alison Mackenzie at Phase Four who was producing South African Racehorse and got all the publications and read them cover-to-cover. With Mick and Cheryl’s enthusiasm and encouragement, I became completely infected and then I was hooked. After emigrating to New Zealand in 1987, after my return, I was lucky enough to become a race-caller where I called with Graeme Hawkins and Peter Duffield at the four clubs (Turffontein, Newmarket, Gosforth Park and the Vaal), as well as being Media Relations Officer for Newmarket Club. My fondest memory is being told I had to call the Germiston November Handicap for SABC TV Sport when a patch couldn’t be taken from Radio South Africa. The problem was the field was already half-loaded and I hadn’t studied the colours. Somehow the call just worked out okay with Mill Hill getting home by a nose from I Try. In 1991 I emigrated to Australia, where I had to start all over again. After spending a year or so at the Canberra Racing Club working in a clerical role, that led me to an opportunity in Sydney where I landed up working with Racetrack Magazine, where I was for about three years. I then had a year down in Melbourne as marketing manager for Murana Stud, which at that stage was owned by Norm Carlyon, Chairman of Moonee Valley Race Club, home of the weight-for-age Gr1 Cox Plate. About twelve years ago, I joined the staff at Breeding & Racing which was also running the New South Wales Jockey Club calendar, and I’ve been with them ever since. I’ve spent the last four years as editor-in-chief there, as well as running the Daily News, one of the world’s most widely read thoroughbred news columns. Gary’s young daughters also wanted to say how much they enjoyed their visit to Summerhill and Hartford, and here are their thoughts…. Mike de Kock is a legend in Dubai, but that probably also applies to most parts of the world. It was here that he first really made his international mark, having been the Champion Trainer in the Emirates on several previous occasions. By any of his best standards though, five winners in the first two meetings this year, including both the Guineas Trials (for fillies and colts), would have to be rated alongside his best. Chatting to him about Imbongi’s condition for this evening’s Jaguar XJ Trophy, he mentioned how pleased he was at the Trial victories, suggesting Musir could well be up with the best three-year-colts currently in Dubai, while Raihanacould be something special. That’ll warm the hearts of Sheikh Mohammed bin Khalifa’s team, for sure. Multiple champion French jockey, Christophe Soumillon, takes the ride on Imbongi, whom De Kock says has been working well on the Tapeta surface, though it remains to be seen what he’ll be like under race conditions. He does say though, that the horse is only 85% fit, and having to give up to 7kgs to the field, his performance is going to hinge to a fairly significant degree, on his fitness. He runs over seven furlongs, the trip at which he demolished five Grade One winners in the Drill Hall Stakes (Gr.2) as a three year old during the Durban season, so that’s not a problem; we’ll have our eyes glued on Tellytrack (Channel 232) at 19:10 pm this evening. Following a string of fine efforts in Hong Kong and Dubai earlier in the year, Mike de Kock’s charge is one of 18 challengers entered for the £65,000 Group Three John Bovington Memorial Criterion Stakes to be run over seven-furlongs. The South African fighter finished a staying-on sixth last time out in the Group One Champions Mile at Sha Tin on April 26. Imbongi had previously been fourth in two Group Two races at Nad Al Sheba and was narrowly denied on his seasonal debut at the same course in a valuable seven-furlong handicap, when he just failed to collar Hatta Fort. In South Africa last year, the Summerhill-bred Imbongi proved himself to be one of the leading milers of his generation, starting with electrifying victories in the Grade Two Gauteng Guineas at Turffontein in March and the Grade Two KZN Guineas at Greyville in April before returning to Greyville in May to destroy five previous Grade One winners in the Grade Two Drill Hall Stakes, including South African “Horse of the Year, Pocket Power. Imbongi looks set to face some tough opposition including Racer Forever, who got the better of King Of Dixie in a thrilling finish to last year’s race. Subsequent Group One winner Court Masterpiece was also narrowly denied in 2005 and the nine-year-old, now in the care of John Quinn after a spell at stud, could return to Newmarket following a fine third in a York conditions race on his first start for more than two years. Ancien Regime may make his Godolphin debut following a progressive three-year-old campaign for Michael Jarvis that included victory in the Coral.co.uk Sprint on the Rowley Mile and a close sixth in the Group One Sprint Cup at Doncaster in September, while Huntdown, third in last year’s Group One Shadwell Middle Park Stakes, could also make his first appearance for Saeed bin Suroor, having previously been trained by John Gosden. Other notable entries include Winker Watson, who enjoyed Group Two success on the July Course in the TNT July Stakes in 2007, last season’s Group One Stan James sponsored 1000 Guineas fifth Dream Eater, as well as Laa Rayb and Balthazaar’s Gift, who were third and fourth respectively in the Group Two Victor Chandler Challenge Stakes on the Rowley Mile in October. Dubai’s Ruler, Sheikh Mohammed, once famously said: “Every morning in Africa, a gazelle wakes up, knowing it must run faster than the fastest lion in order to survive. Every morning in Africa, a lion wakes up, knowing it must run faster than the slowest gazelle in order to survive. So appropriate. And while that may not have universal application, it certainly sticks with the sport of horseracing, and especially this week. Of all the racing weeks in creation, nothing beats Royal Ascot, never mind what the Aussies will tell you about the Melbourne Cup. From an African perspective, the big one this week (Saturday on DSTV Channel 232) is the Golden Jubilee Stakes (Gr.1) which brings together the fastest horses on turf in the world. And South Africa will be there, too, in the form of the rocket, J J The Jet Plane. How appropriate. Which reminds us of our own connection with the inaugural running of this time-honoured challenge under its new guise (formerly the Cork and Orrery, how odd! Only the English could think of a name like that!). In 2002, the owners of the best sprinters on the planet did this race proud. After all, it marked the Queens Golden Jubilee. The World Champion Juvenile of the previous season, Johannesburg, was there. So were the celebrated stallions (these days) and the crack sprinters of those, Invincible Spirit and Kyllachy. And so was Malhub, son of the most desirable stallion on both sides of the Atlantic. Little known at that point and donning his owner’s “second set”, it wouldn’t be long before his was a household name. Our Irish friends on course that day, swear Malhub saw Her Majesty in the Royal Box on his way to the start, and proclaimed “I’m comin home to meet you, Ma’m” In a matter of 72 seconds and a bit of change, that’s precisely what Malhub did. One hot property. The prodigy that sauntered past Johannesburg the only time they met. A spine-tingling moment of utter superiority. The height of summer. The height of class. The height of places. Royal Ascot must surely be one of the most well-known racing events on the international calendar. The Melbourne Cup may stop a nation for a day, but this Royal meeting stops the world for a week. It was Queen Anne who transformed the naked heathland at Windsor Castle into the arena for England’s most famous sporting tradition in 1711. Since then more money, more pride, more pedigree and more champagne has been splurged on the outcome of the events of these four days than on any other sporting action anywhere. To line up at Ascot takes more than a measure of talent, and earning a cheque is a serious achievement. Those that lay claim to Group One success are the elite of the breed. Summerhill stallion MALHUB (Kingmambo/Arjuzah) is one such horse; he overcame major adversity, took on the best, and beat the best sprinters in the Golden Jubilee Stakes (Gr1), including World Champion Juvenile, JOHANNESBURG. This year, South African-bred J J THE JET PLANE carries the flag for South Africa in Saturday’s Golden Jubilee Stakes (Gr 1), while MYTHICAL FLIGHT takes up the challenge in today’s Kings Stand Stakes (Gr1). Just on twenty years ago, I was privy to a glimpse at an intimate connection at the Breeders’ Cup meeting of 1990 between local “el padrino”, Graham Beck, and the then founder not only of Gainesway Farm, but also of the Breeders’ Cup, John Gaines. Earlier that day, Buddy Bishop, renowned solicitor operating in Lexington, Kentucky, and legal counsel to what was then the principal opposition to Gainesway, the Hancock family’s famous Claiborne Farm, confided in me that a South African was rumoured to have purchased Gainesway. I was astonished, and dismissed it as conjecture. After all, this was the farm that housed the likes of Lyphard, Blushing Groom, Riverman, Vaguely Noble, Irish River, Cozzene, Afleet etc, and it was almost inconceivable that it should be a South African that had put up his hand for this iconic property, when all the world was there to compete for it. It turned out that Buddy Bishop’s “intelligence” was spot-on, and that the enterprise of Graham Beck, the stuff of legend in South Africa, had indeed laid claim to one of the greatest titles in thoroughbred racing. I wrote about this property two weeks ago as a place of solace to me on the passing of my late mother, and today we can celebrate the fact that one of its resident stallions, Birdstone (who spoilt the party for Funny Cide in his quest for the American Triple Crown, by snatching the laurels in the final leg of the Belmont Stakes (Gr.1), has produced from his very first crop, two winners of separate legs of the Triple Crown. The first and arguably the most famous leg, the Kentucky Derby (Gr.1) was taken in spectacular fashion by a 50-1 chance in the form of Mine That Bird (by Birdstone), who came from a shotgun position at the back of the field to land a storied victory by six, and who was the sole pursuer of the filly Rachel Alexandra, in the Preakness Stakes (Gr.1) a fortnight later. In the absence of the filly, Mine That Bird was made a certainty by the bettors for Saturday, and he looked home and hosed shortly after they turned into Belmont’s fabled straight, only to be swamped by two foes, one of whom was his paternal half-brother, Summer Bird, who came home to proclaim his sire, if not yet quite in the same league as Medaglia D’Oro as a commercial stallion, certainly every bit as serious a property in reality. Birdstone is the son of a Kentucky Derby winner himself, the rather unattractive and poor legged Grindstone, he in turn by Unbridled and tracing back, (no alarms), to Mr. Prospector, whose stamp on the American classics is as indelible as any stallion in history. As for Birdstone, he’s not a big fellow (I would say he stands 15’3 at the most) and he’s what one might describe as a “plain brown job”. However, and particularly considering his ancestral belongings, he’s a clean legged horse, well balanced and displays the touch of class that separates the serious from the ordinary. You read our piece on J J The Jet Plane’s fine performance in the Leisure Stakes last week. A few notes on his origins. Firstly, he’s another example of close and successful in-breeding to the grand old man of the game, Northern Dancer. But closer to home, J.J. is out of Majestic Guest, who was bred and raised at Summerhill, the daughter of the fellow who’s paid for most of what you see around us today, Northern Guest. Of course Northern Guest, is the most decorated broodmare sire in South African history, so it’s no surprise that one of his daughters pop up with a horse of J.J’s ilk. That said, Majestic Guest was a product of a granddaughter of the one-time incumbent of our barn, Home Guard, from a family which is all Hartford, going back to the days of the Ellis family. Majestic Guest’s granddam, Fantastic, was a winner of the Grade One Breeders Champion Fillies Stakes, in turn a daughter of one the best racers to grace the Hartford paddocks, Panjandrum. As for Jet Master himself, J.J’s sire, his great granddam resided at Summerhill as the property of the late Dickie Dunn, and her daughter, Jolly Laughter, was bred and raised at Summerhill. To complete the circle, Jet Master’s own mother Jet Lightening, was sold for the paltry sum of R10,000 at the annual KZN Broodmare Sale, which in those days was hosted in Malhub’s paddock alongside the Summerhill office. Talk about rags to riches. There’s a lot of sentiment riding on J J The Jet Plane’s entry at Royal Ascot in a fortnight, particularly in this quarter, and we’re tipping him to make it a double notwithstanding the Aussie assault from Takeover Target. Both the King’s Stand Stakes (Gr.1), and the race which made Malhub famous, the Golden Jubilee Sprint (Gr.1), beckon. The much anticipated British debut of leading South African sprint star, J J The Jet Plane, took place yesterday in the Listed Leisure Stakes at Windsor. Making all the racing near the rail early on, J J The Jet Plane had his rivals in trouble by the furlong marker. The Mike de Kock-trained four-year-old drew away late for an impressive four-length victory under jockey Ryan Moore. The son of Jet Master was racing for the first time since his win in the Gr.3 Al Quoz Sprint in Dubai at the end of February, and Mike de Kock was pleased to be able to get a run into his charge before Royal Ascot. “I’m relieved to win. It was lucky there was a race at Windsor for him. I thought it was a good win in a fairly competitive field. I’m very happy with him; he’s not had a big blow but this will certainly do him the world of good,” said Mike de Kock following the race. J J The Jet Plane has now laid down his credentials for sprint success in the Golden Jubilee Stakes at Royal Ascot and, if all goes well, he may have a crack at the Gr.1 Darley July Cup at Newmarket. Defending Singapore Airlines International Cup Champion, Jay Peg, will jump from stall five in Sunday’s feature event at Kranji, much to the delight of trainer Herman Brown. “It’s a good draw and gives us plenty of options to ride close to the pace, as he normally does. A lot will also depend on how quick the horses on the inside go,” said Herman Brown. In 2008, Jay Peg sat quietly in second spot before sweeping into the lead for a dominant victory in the 2000m showcase race. The European Bloodstock News reports that the handsome bay has failed to win since and has run below par in three starts since undergoing knee surgery, most recently finishing down the course behind Gladiatorus and Presvis in the Dubai Duty Free. Mike de Kock’s charge, Bankable, will jump from stall three and is considered a possible danger to Audemars Piguet QE II Cup winner and race favourite, Presvis. Sean Tarry, was left shaking his head in utter disbelief when his speed merchant, Mythical Flight, came away with barrier 11 for the 1200m KrisFlyer Sprint, where defending champion Takeover Target, well drawn on the inside, is the likely favourite. Former South African trainer Patrick Shaw, now based in Singapore, was also left deflated after drawing stall nine for local hero, the undefeated three-year-old, Rocket Man, owned by old friend of Summerhill, Fred Crabbia. “Yes, I’m disappointed with the draw but we have to move on now. It’s not the end of the world but it makes his (Rocket Man) job a bit harder,” said Patrick Shaw. The Australian-bred Rocket Man is the highest rated galloper in Singapore and his wins include both the Kranji and Singapore Three-Year-Old Sprints this season. Rocket Man is a half-brother to the Charles Laird-trained Gr1 winner Our Giant. Summerhill Stud wishes all the South African connections “Voorspoed” and the greatest success on Singapore’s premier raceday. The final countdown to the 2009 renewals of the Singapore Airlines International Cup and KrisFlyer International Sprint has begun. This morning’s trackwork session at Kranji racecourse wound down to a sedatory pace, with most runners having already concluded the bulk of their preparations. Ask any student of racing twenty years ago which the greatest racing event in the world was, and they would’ve unhesitatingly answered the English Derby. Today the title is a vigorous contest between the “Derby” (as it’s commonly known), Paris’ Prix de l’Arc de Triomphe, Dubai’s World Cup, the Melbourne Cup, the Kentucky Derby, and perhaps the Japan Cup. Certainly, if not alone the greatest, the English Derby stands apart as the most famous. For all that, who would ever have expected an upstart South African bank to become the Derby’s sponsor? Upstart, did we say? Yes, in global terms that’s probably an apt description, but Investec has always been an innovator, a “breed-shaper”, as we might term it in racing parlance, and that’s exactly what the local banking pacemaker agreed to this week for the next five years. No doubt, the hand of Bernard Kantor, avid racing man and the fellow that bought us Count Dubois, was more than prominent in this relationship, which follows a £38 million revamp of the Derby’s home, Epsom Downs. Did we leave out another marquee event when we counted the “big five”? Yes, we probably did, and that’s Royal Ascot’s King George VI and Queen Elizabeth II Stakes, which for almost two decades was sponsored by South Africa’s De Beers. The difference here is that, at the time, De Beers happened to be the world’s biggest diamond producer, whilst Investec has a way to go before it can claim the same status in the banking world. Maybe, just maybe, this is a precursor of what’s to come. Well done, Investec. From one champion team to another, we salute you. Mike de Kock is back in South Africa, so we can all breathe a sigh of relief. 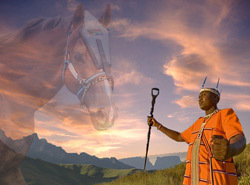 The man is a national treasure, and when it comes to the reputation of South African racehorses and their exportability, nobody’s done more for the game. We picked up on him shortly after he landed, and his feelings about Imbongi’s run (he finished just on two lengths behind the winner), was that he would’ve been a lot closer had he not lost ground on the bend. There was no explanation for it, other than the horse had a little bit of the “slows” midway through the race, yet he ran on resolutely, to get within two lengths of the winner, winding up 6th with a cheque in hand. Mike’s feeling is that the setbacks his horses suffered in Dubai in the month leading to the World Cup, left them a little short in terms of their preparations, and he feels we’ll see a good bit of improvement when they start up their motors in England in the next month or two. Stay with us, there’ll be more to come from Imbongi. You can go into any worthwhile website on racing anywhere in the world right now, and you can pick up news of this weekend’s big events in Hong Kong, including the Champions Mile. However, the one thing you won’t get is a statement from the horse’s mouth, so we thought we’d bring you news of our most recent bulletin from Mike de Kock, who sends our home-bred, Imbongi to post on Sunday. Anyone hoping to make any sort of impression in this race would have to take history into account in their calculations, knowing that in all its time, the Hong Kong Champions Mile has yet to witness a placed runner among its foreign raiders, and that last year’s spectacular hero, Good Ba Ba reached the post in an amazing 1min 31.3 secs, and you know what you’re up against. However, Mike de Kock is of the firm view that Imbongi is a real contender, provided he is over the troubles which confronted so many of the Mike de Kock stable in Dubai over the World Cup, and if Imbongi can get back to a modicum of the form which carried him to stardom in two Guineas and a triumph over Horse Of The Year, Pocket Power ans well as four other Grade One winners in the Drill Hall last season. Mike tells us though, that Imbongi managed an official “bullet” 21,5 secs for the last 400m of his final workout on Tuesday. If that’s not notice he’s ready to run for his life, tell us what is? Keep your heads down, there could be an explosion Sunday morning (9:55 am our time). 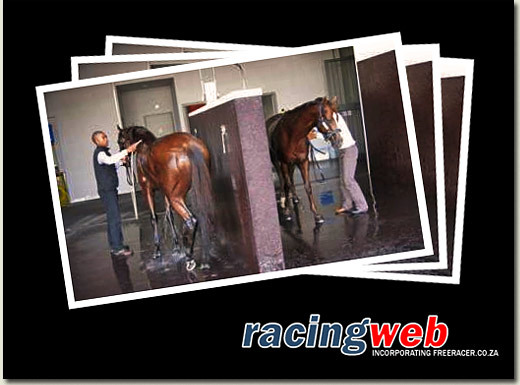 Racingweb reports that Archipenko and Imbongi enjoyed a refreshing time in the wash bay after their Saturday workout at Sha-Tin racecourse in Hong Kong. Mike de Kock himself will be jetting to Hong Kong within the next few days. Growing up in one of the remotest parts of the world as the son of a Pondo trader, I never imagined myself as the owner of an international class racehorse, let alone partnering a member of a nation’s ruling family and running for R14million, at Group One level. Yet that is what Imbongi has done for Summerhill Stud, and next weekend he gets his chance to take on some of the world’s best milers in the Hong Kong Mile (Gr.1). His travel mate, Archipenko, showered himself in glory as the hero of last year’s Audemars Piguet Queen Elizabeth II Cup (Gr.1), and he returns this year to defend his crown. Hard on the heels of Summerhill-bred, raised and educated Paris Perfect’s $600,000 romp in the Dubai World Cup (Gr.1), and Art Of War’s stand out billing from Mike de Kock as the “biggest surprise of the Dubai Carnival”, Imbongi now gets his chance to show to the world what made him the most formidable three-year-old miler in South Africa last year. Keep a check on Mike de Kock’s website for all the latest news from Hong Kong. News from Mike de Kock is that Archipenko and Imbongi have arrived safely in Hong Kong where they are set to do battle in the Audemars Piguet QEII Cup and Champions Mile respectively. With combined stakes of HK$26million, these two Group 1 races will witness an international field of top-class horses, come Sunday 26 April at Sha Tin racecourse. Viva Pataca - Six-time Gr.1 winner, including a comfortable success in this race in 2007. Completed his preparation for this event with a sound third-placed run from top weight in last weekend’s Chairman’s Trophy (HK Gr.2). Archipenko - Scored readily in this race last year to precede a Gr.2 win in England and an unlucky reverse in the Arlington Million. Started favourite for the Dubai Duty Free last month but was never dangerous in sixth. Presvis - Capped a fine Dubai International Carnival with a fine runners-up finish in the Dubai Duty Free from a wide barrier and looks to be still on the upgrade. Niconero - Veteran winner of five Gr.1 races is in the form of his life. Has twice collected at the highest level and finished a creditable fourth in the Dubai Duty Free in recent weeks. Packing Winner - HK Gr.1 winner of the Citi Champions & Chater Cup last year from Viva Pataca having run fourth in this event. Artiste Royal - American-trained Gr.1 winner who was not tested when hemmed in on the rails in the Cathay Pacific Hong Kong Cup last December. Has since won at Gr.2 level in California. Chinchon- Three times placed in French Pattern events, including once last year in front of Collection, the subsequent Mercedes-Benz Hong Kong Derby champion. Thumbs Up - Triumphant in the HK Gr.1 Mercedes-Benz Hong Kong Classic Mile in January and runner-up to Collection in the Mercedes-Benz Hong Kong Derby last month. Bullish Cash - Triumphant in the HK Gr.3 Premier Plate last season and placed in the same race last month. Viva Macau - Dual winner of the Ladies’ Purse (Class 1) and Gr.1 placed both locally and in France. Roma Pegasus - Fifth in both the Randwick and Rosehill Guineas in Australia before similar finishes in the Mercedes-Benz Hong Kong Classic Mile, Derby Trial and Derby. Danesis- Runner-up in his last start in the HKGr.3 Premier Plate to leap to a triple figure HK rating. Good BaBa- Six-time Gr.1 winner, current Horse of the Year and defending champion of this race. His international rating of 124 for winning the Cathay Pacific Hong Kong Mile is the highest ever accorded to a Hong Kong horse. Egyptian Ra - Only two horses are rated higher in Hong Kong after his all-the-way success in the HK Gr.1 Queen’s Silver Jubilee Cup from Good Ba Ba. He won the HK Gr.2 Cathay Pacific International Mile Trial in similar fashion. More Bountiful - Shot up by 21lbs in the ratings - a record rise this decade - in the wake of his authoritative success in the Chairman’s Trophy (HK Gr.2) last time. Alexandros- Career best performance last time out when third in the Dubai Duty Free on the back of two earlier wins at the Dubai International Carnival for Godolphin. Armada- Former Champion Miler for winning the HK Gr.1 Stewards’ Cup in 2007. Runner-up in both this race and the Yasuda Kinen last year. Fellowship - Placed in his last three starts, two of those at the highest level and knocking on the door of his maiden HK Gr.1 victory. Imbongi- Dual Gr.2 winner and also Gr.1 runner-up in South Africa. Collection - The new star of Hong Kong racing after his terrific triumph in the Mercedes-Benz Hong Kong Derby. Drops back in distance here. Sight Winner - Most Improved Horse in Hong Kong last season and his consistency in the best local races has maintained the upward curve this season. Dao Dao - Four wins last season for John Size in Hong Kong and a Listed winner in Sydney last weekend for his former trainer, John Hawkes. Sir Slick - Six-time Gr.1 winner in New Zealand where he is known as the ‘People’s Champion’. Unique Jewellery - Winner of the Mercedes-Benz Hong Kong Derby Trial and a commendable fourth in the Classic itself. Gem Of Chiu Ton - Listed placed in England before arriving in Hong Kong where he appears on the verge of a breakthrough success.